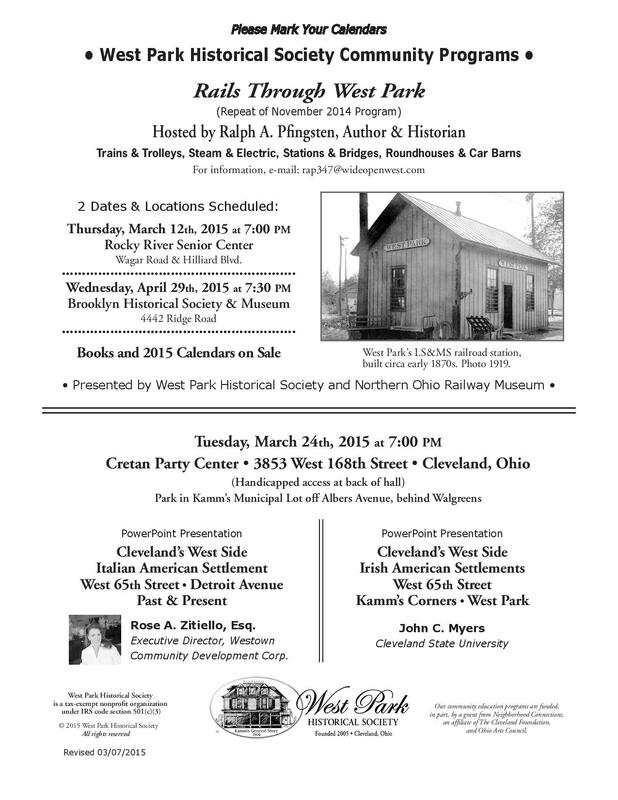 The West Park Historical Society invites you to the following scheduled events. 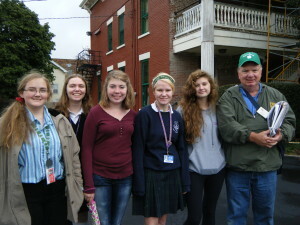 Presented by the West Park Historical Society and Northern Ohio Railway Museum. 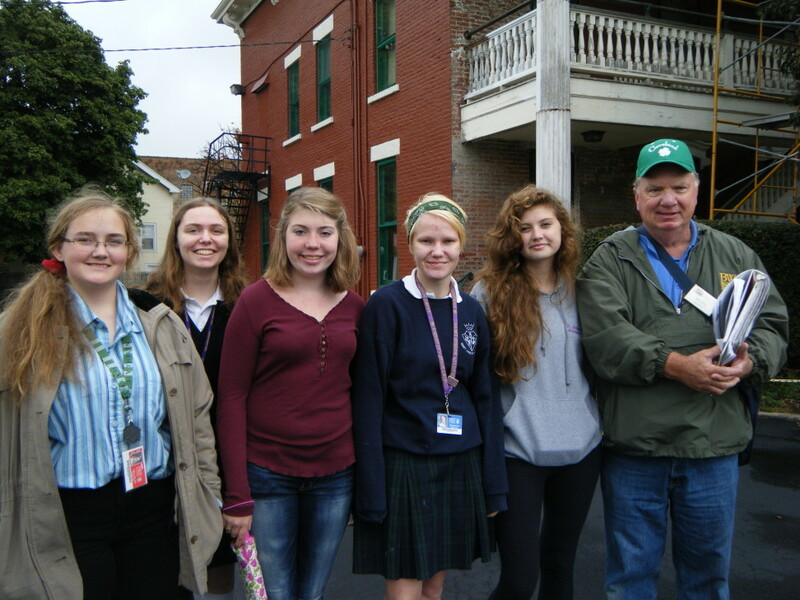 WPHS President, Ralph Pfingsten will repeat his Rails Through West Park program! You can hear this entertaining and informative talk on Thursday, March 12 at 7:00pm at the Rocky River Senior Center located near the corner of Wagar Road and Hilliard Blvd. Can’t make it on that date? Here’s another opportunity. The same program will again be presented on Wednesday April 29 at 7:30pm at the Brooklyn Historical Society and Museum. 4442 Ridge Road. Mark your Calendars & Bring a Friend ! 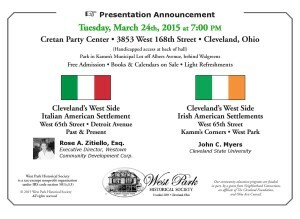 Please join the West Park Historical Society on Tuesday, March 24, 2015 at 7:00pm for our hosted event featuring two speakers, Rose A. Zitiello, Esq. Executive Director, Westown Community Development Corp. and John C. Myers, Cleveland State University. 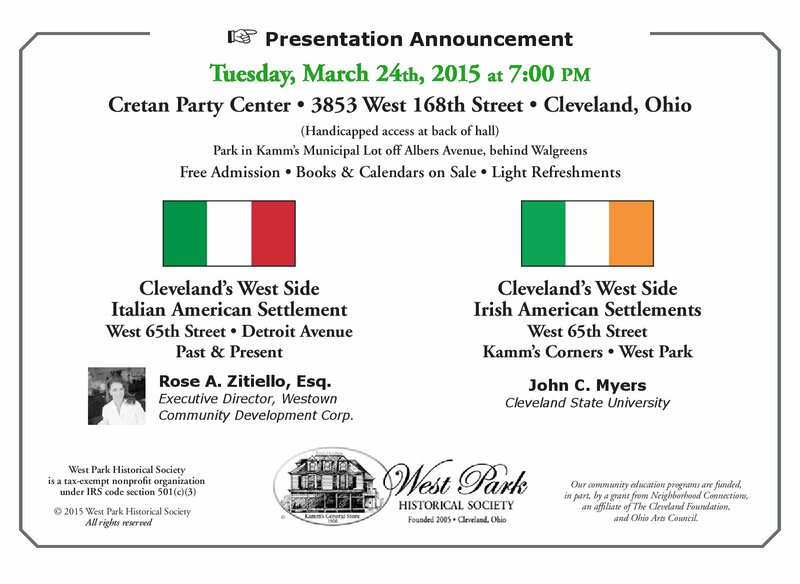 Our guests will deliver presentations covering the Italian American and Irish American Settlements in our area. We hope you will join us for this anticipated event at the Creten Party Center located at 3853 West 168th Street. Park in Kamm’s Municipal Lot off Albers Avenue, behind Walgreens. 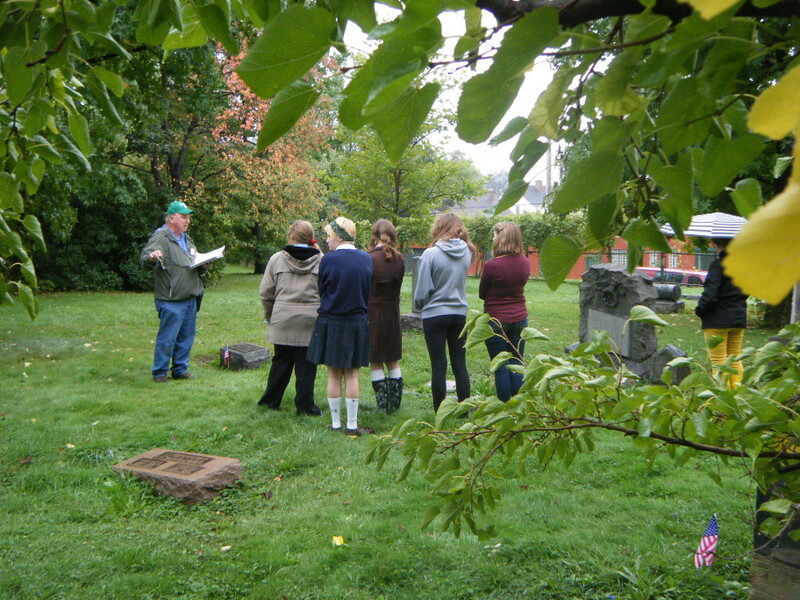 Ross Bassett, Vice-President of the the West Park Historical Society, with St. Joseph Academy students at Alger cemetery. Historical Walking Tour – September 2014.